Electra will go above and beyond to transform this once in a lifetime event into an unforgettable experience for you and your guests! 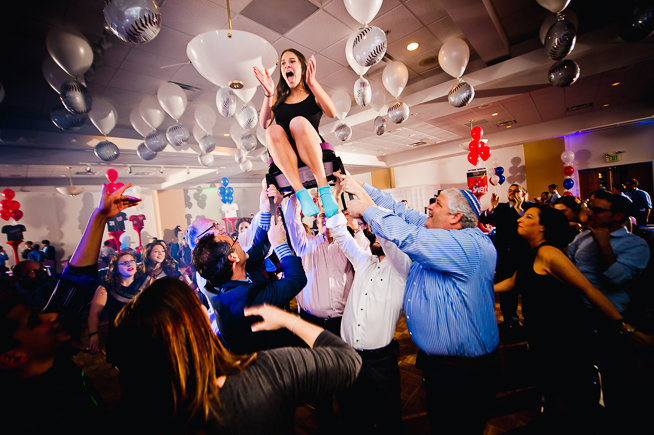 From state of the art light shows and phenomenal talent to exceptional event management from beginning to end, there is no question why an Electra Mitzvah stands in a class of its own. Need a hand planning your event? Check out our Mitzvahs packages. All of our awesome packaging options include up to 4 hours of energizing entertainment, including dancing, interactive games & activities, and an array of exciting prize giveaways! Simple and chic, the Express is your ticket to the perfect atmosphere for a casual, pitched down event. With an effects lightshow accompanied by a live one man DJ performance, the Express truly shows that less is more. Excellence says it all. Enjoy a high energy MC and DJ duo that will keep your party flowing flawlessly, leaving you with a dynamic and unforgettable event. And if you thought that was all, you even get a vibrant lightshow that will keep your dance floor packed! Experience Electra – delivering a perfect blend of elegance and extraordinary performance, we define entertainment. Transform your event into an experience of a lifetime as we hook you up with a DJ, MC, TWO energizing dancers, an exquisite laser lightshow and LED DJ booth. There is no question the Electra Experience will make your party the stuff of legend! Upgrade 1: Sleek & brilliant, this upgrade features a stunning lightshow including two truss columns fitted with flat panel TV’s and LED intelligent lights! Enjoy the hottest music videos and vibrant lighting all wrapped in an elegant design. Upgrade 2: Prepare to turn your party into the hottest nightclub in the area. This setup includes a 20′ truss, LED intelligent lights, a laser light show and a 47″ flat screen TV, all controlled by a pro light jockey. Upgrade 3: If you want to go big, prepare to go BIG! With this upgrade, your event will feature full-scale, state of the art production. Complete with two stages, two trusses, intelligent lights and lasers, and two massive video screens – your party will be the talk of the town! Are you ready to take your event to the next level? If so, prepare yourself for the Extreme! With a mind-blowing truss light show, a dance platform, flat screen TV’s, a DJ & MC and FOUR high-energy dancers, the Extreme will produce a rocking event of epic proportion!